Burmese,Japanese and Chinese again.Lazy Sunday,and I was simply lazing around.But what to do question was of hungry stomachs and my daughter Sanjus demand Amma! Noodles and some Chinese gravy.I agreed lazily.Started to dig my pantry for Noodles and yippee I found a Packet of Chings Paneer chilly and I also glanced a sachet of Chings miracle masala and I snatched it immediately. Thus, I used the miracle masala for the noodles and Instant chings paneer chilly for the gravy. 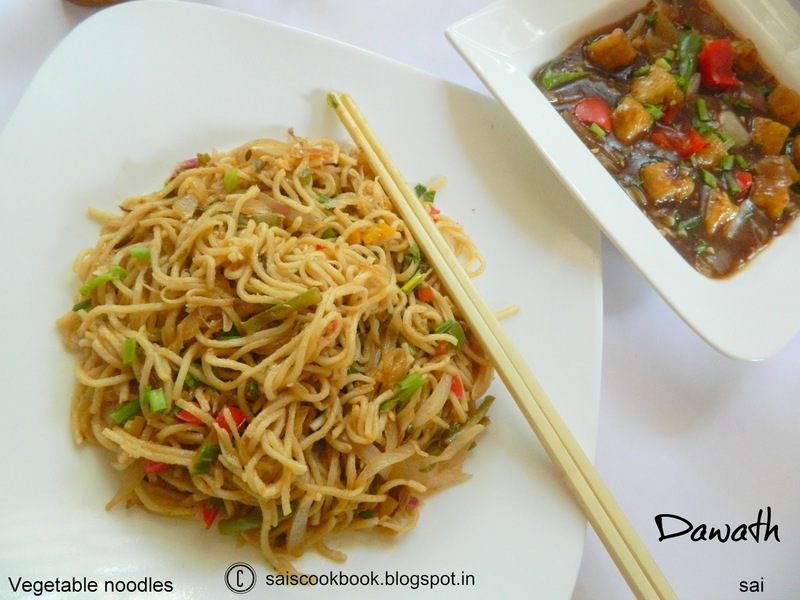 I always keep few instant packets ready just in case of emergency.Thus my work became easy.Soon I kept the water for boiling Noodles and started to chop veggies,had few leftover chopped veggies ,so that made my work more easy.Side by side also made my son study…..But this time I didn’t add any sauce to the Noodles nor the gravy.Both the dish were super duper hit.So today it was Sunday special,Chings special at Pai residence . 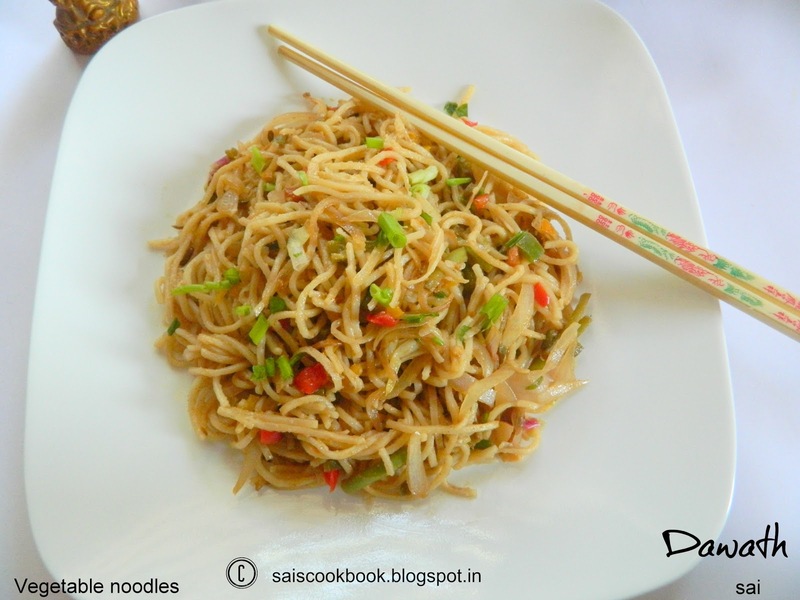 Cook noodles as per instructions given on the pack,drain it in a colander and run it under cold water for few minutes and drain it completely. Meanwhile heat oil and fry chopped garlic and add all the veggies except spring onion and saute it in high flame for 5 minutes. Add pepper powder,noodles,miracle masala and salt to taste. Saute for few more minutes and garnish with spring onions. 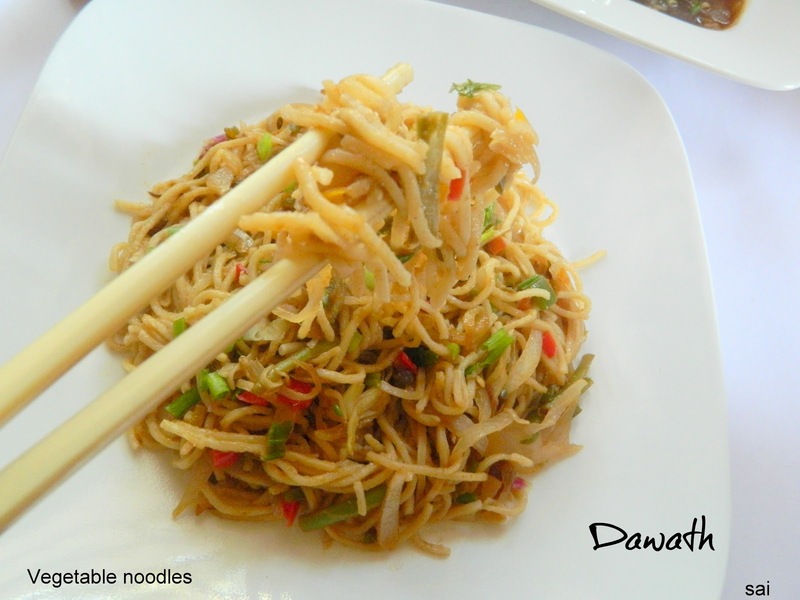 You may use any Haka noodles. You may add sauce if you like. Add very little salt since Miracle masala has the salt content.